Barefoot Running- Au Naturel or Unnatural? Today I ran into this article which has an interesting take on running barefoot and the new “minimalist” campaign taken by Nike and some other footwear makers: Should-you-toss-your-running- shoes-and-just-go-barefoot? Nike has their Nike Free shoes which are supposed to mimic the bare feet and allow the foot to adapt and strengthen as you run. The result is supposedly better biomechanics because one does not need to “rely” on footwear for support. The article even cites some runners that have noticed increased foot/leg pain with their new shoes. Please check out my two part blog here and here, before jumping to conclusions. There is such a thing as too MUCH support when selecting a running shoe. And there is such a thing as too LITTLE support. Make sure you see a physical therapist or a podiatrist for proper footwear recommendations. I have seen many a running shoe store employee make the wrong recommendation. Only a proper biomechanical foot evaluation can give you a clear picture of the proper type of shoe for your foot. Feel free to contact us at Elite Sports Physical Therapy at 510.656.3777 if you have any questions. Just ask to speak with a physical therapist and will guide you in the right direction! By now, you should all have an understanding of the type of foot you have and the type of shoe you need. If you are still confused or would like a more detailed biomechanical analysis of your foot or gait pattern, feel free to contact us at Elite Sports Physical Therapy at 510.656.3777. For those ready to take the plunge, let me give you a few more tips about purchasing the right running shoe for you. 1) Go shopping for shoes around the time you would run – Feet swell a little bit during the day with our weight resting upon them as we go about our business. So if you normally run in the evenings or afternoon, don’t buy a pair of running shoes first thing in the morning. 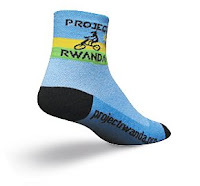 2) Try the running shoes on with the socks you will run in – Don’t wear dress socks to try on running shoes if you are stopping by on the way home from work. If you wear ultra-thin moisture wicking socks when you run, don’t try on running shoes on a day you are wearing tube socks. Try and get as close to the feel you will have when you run. This will give you the most accurate picture of whether or not the shoe is appropriate for you. 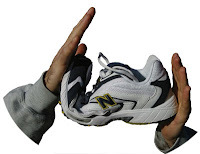 3) Bring your orthotics with you- If you wear orthotics when you run, be sure to bring them with you. You will have to take into account the space the orthotic will occupy in the shoe. 4) Try on both shoes – Their could be a slight difference in the way each shoe is made or even in your foot size. Some people have one foot slightly larger than the other. Be sure both of your feet are comfortable before you seal the deal with the shoe store. 5) Try running in the shoe if possible – You wouldn’t buy a car without test driving it right? So why would you just walk around in a shoe if you need to see how it feels when you run? Some stores, especially running specialty stores, may have a treadmill or track for you to try a light jog in the shoes before you purchase them. 6) Try on more than one model of shoe – Once you know your type of foot and shoe, try on several different models to see which one fits the best. Every manufacturer makes slight tweaks on their models, even if they claim to be the same shoe type. See which one is the most comfortable for your foot. 7) Try to go to a running specialty store- As mentioned above, some of these stores focus on making sure you have the right shoe for your foot, so that you can get the most enjoyment possible out of running. Many of these stores are owned or managed by experienced runners. Buying a good pair of running shoes at a big box retailer is like buying a bike or golf clubs at Walmart. No offense to Walmart, but if you want the highest quality gear, you probably have to go to a specialty store. Look online for a retailer near you. I hope this guide provides you some helpful hints on how to ensure you have the best fitting shoe for your foot. And remember, shoes have life to them as well. Once you have found the right shoe, that doesn’t mean you stick with it until the sole falls off or the bottoms are so worn there is no tracion. Studies show that after 100 miles of running, a shoe loses about 10% of it’s shock absorbing properties. After 400 miles, the shoe loses 80% of it’s shock absorption. 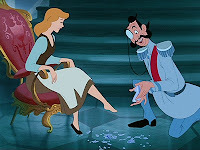 So next time you think of hanging onto a pair of shoes because they still “look OK,” ask yourself this: Would it be better to invest another $80-100 on a pair of new shoes when the time is right or to save the money and have to go see the doctor after continuing to run in my old shoes? If you ask me, I’d pick the new shoes! Well I’m here to help you simplify that process, because I know how important a good pair of shoes can be. Pick the right one: You’ll be enjoying them for a long time, achieving your fitness goals, and avoiding serious injury. Pick the wrong one: You may as well pencil yourself in for an appointment with me sometime down the road. A lot of clinicians will tell you that pronation is bad. Well I’m here to tell you that it’s good. Overpronation is bad. Pronation is normal. It’s natural. And we should all do it. You see pronation is the process where our foot rolls from the outside of our heel to the ball of our foot when we walk. This is a very important part of our gait mechanics because it helps us absorb shock. If there is too little pronation people can develop stress fractures, cartilage damage, even arthritis because the shock is not dissipated. If there is too much pronation, people tend to develop overuse injures like plantar fasciitis, shin splints, and tendinitis. What Type Of Foot Do I Have? Selecting the right shoe begins with understanding the type of foot you have. Then you can accommodate your foot with the multitude of options available. Feet are usually separated into 3 basic types: low arch (overpronators), normal arch (normal pronators), and high arch (underpronators). You can determine this by looking at the imprint your foot makes on a dark colored towel when you step out of the shower. Low Arch- No curve along the inside of your foot noted and imprint shows the whole foot. These people overpronate and will need a shoe to control the motion from going too far. Normal Arch- A curve is noted along the inside of the foot. The band from the heel to the toe is a little less than half the width of the foot. These people just need a shoe to keep them doing what they are doing. The foot is functioning fine and we don’t need to mess with it. High Arch- A large curve is noted in the inside of the foot. Very thin band from heel to toe. These people need lots of cushioning from their shoes because they underpronate. They don’t absorb shock, so they will need a shoe to do it for them. What Type Of Shoe Do I Need? Now you know what type of foot you have, so what type of shoe do you get? Well it’s easy enough because there are 3 shoe types to go along with the 3 foot types: motion-control, stability, and cushioned. Motion-Control – These are shoes for the overpronators or low arch types. These shoes will help limit the overpronation, so they usually have a very thick arch and the sole of the shoe almost mirrors the foot. 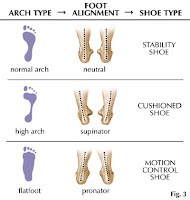 Stability – These are shoes for the normal arch or neutral foot. They just keep your foot doing what it was meant to do. There is a semi-curve to the sole of the shoe, but the inside should not be built up too thick. If the arch is too rigid and stops your pronation (shock absorption), problems with arise. Cushioned – These shoes are for the underpronators or high arch types. There is a curve to the sole of the shoe that may help with the heel to ball of the foot motion, but the most important thing with these shoes is that help with shock absorption. If your body is not absorbing shock, you will need a shoe to do the job. By now you should have a good idea of what type of foot you are and what type of shoe you need. This will help narrow the field down some, but you will still have many options to choose from. In my next post- some shopping tips for you as you look for that perfect fit!